Beautiful singer, Destiny Okoye did not come to university to fall in love with her lecturer. But Stanley Briggs is hot, irresistible -and he wants her. A whirl wind romance leads to a proposal in the rain. But when a devastating discovery destroys her wedding, Destiny moves halfway across Nigeria with hopes of mending her broken heart. And then, charming church worker Christopher Eke comes along and proposes marriage. He seems to tick all the boxes: handsome, charming, funny. A Christian. Being with him makes Destiny forget about everything else-until he dents her jaw with a fist. Instead of the perfect family life she dreamed of having with her new husband, pregnant Destiny finds herself in trapped in a cycle of violence, pain and shattered promises. When the church and her family slam the door against her cries for help, Destiny faces a battle to survive in a modern day Nigeria where a tradition of silence shrouds domestic violence. Can she find a way out before her husband deals her a blow that could silence her and her unborn child forever? Love should always bring about joy and laughter… But what happens when your happy song turns sore? Our readers think patience is required in marriage, but caution and wisdom is also key. 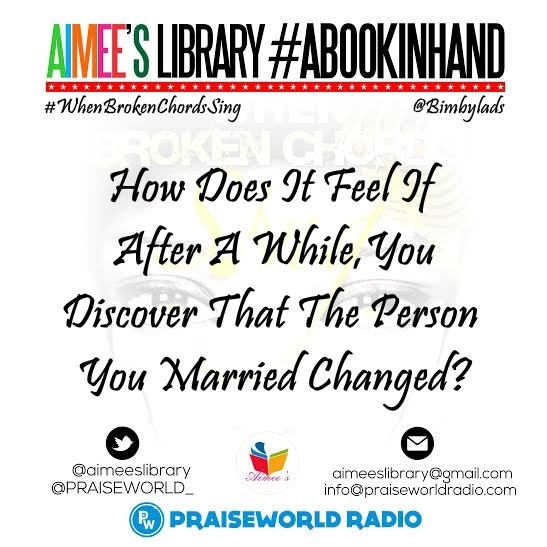 Abimbola’s Thoughts: While I believe that God can heal every broken marriage or a marriage bursting at the seams, I would ask a woman / man in a violently abusive/ and a deliberately adulterous situation to seek separation from the situation as soon as possible: in the first instance. Attempts at reconciliation should only be made when it is obvious that both parties have been through a rigorous transformation. It depends on several factors. If both lovers are ready, let them tie the knot. A day in marriage is different from 5 years in courtship. So if the courtship is for knowing, I believe a year is enough. Too long courting, more distractions to face! 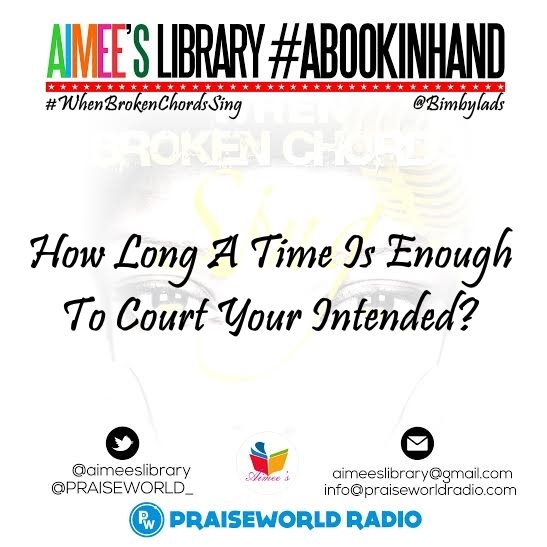 Abimbola’s Thoughts: Its a tough one to answer. I think six months is the shortest time anyone should date each other for, but sometimes, even ten years is not enough to know a person who is determined to hide a flawed character. this is why I am a great advocate of having a personal relationship with Christ, whereby the Holy Spirit can guide you, and direct your path. Many victims of domestic violence are often left with one choice – The Church – which is supposed to be their breath of fresh air… But what do they get? Maybe our friends turned victims of violence did see a sign. Maybe they did. But here they are, at the feet of Jesus. Do they need condemnation? 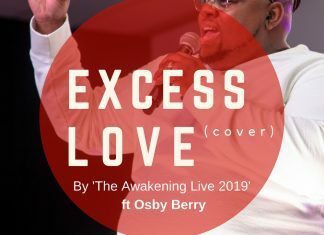 Abimbola’s writing is centered on the Christian point of view. Still, her story points out a few hitches in this standpoint. Is the Church handling this well? The church has a lot of work to do in domestic violence situations. 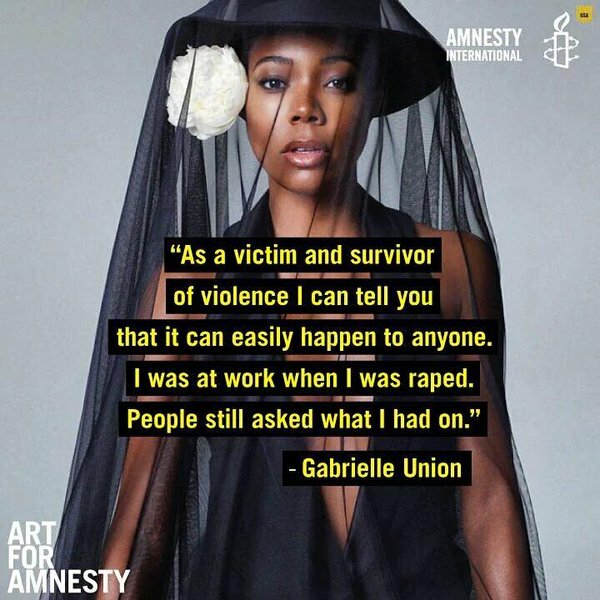 Many women have died needlessly because their Pastor asked them to pray instead of taking practical steps to removing the woman from the abusive situation. This is from me to you… And it’s the gentlest I can be! So in short, Pastor says she’s the reason why her husband beats her to stupor. She’s the reason why he’s a drunk jobless beast. She must submit to his highness by washing his sister’s lingerie… Still I ask… What excuse is there to ever hit a woman? What is the justification? An intimate relationship with God. Accomplishments in career/ chosen life path, or a clear understanding of her life’s purpose (because this would help the woman chose a man who is in alignment with that purpose). A woman should know what she wants and not compromise to her own detriment. A submissive but sensible heart. Does the author think financial dependence on the woman’s part has anything to do with being victimized in marriage? I think that a woman who depends on an unreasonable husband for money (especially if he is prone to violence), might find that money is one of the major causes of their disagreements. Financial independence allows a woman to have a sense of achievement, and to prepare the woman for any issues life may throw her way, should her husband pass away or leave the home. We Have To Be Fine. The reaction so far since writing this book? A lot of positive, amazing responses, and a few people have questioned my reasoning for writing the novel. Overall, a positive reaction. 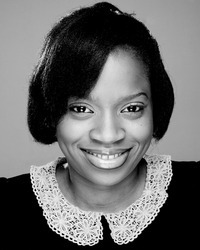 Abimbola Dare commenced her writing career as a blogger (bimbylads) in 2006. She is the author of ‘The Small Print’ and the hugely popular short story, ‘The No-nonsense wife’ (originally published on Bella Naija in 2012), which instantly became an internet sensation and later made into a short film. 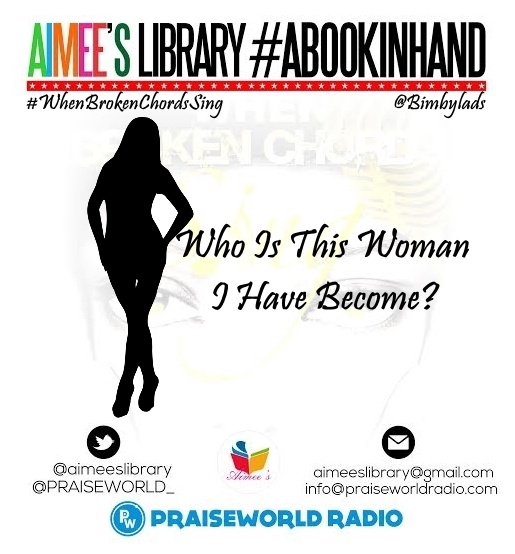 ‘When Broken Chords Sing’, is her second novel. 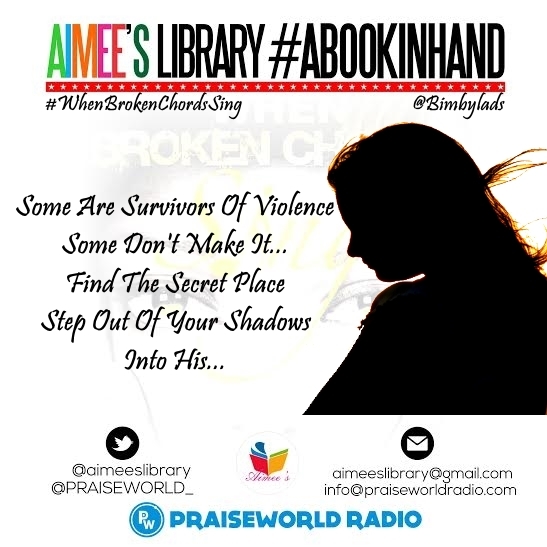 Abimbola Dare writes Christian Fiction with a passion for sharing the message of salvation through Christ Jesus. 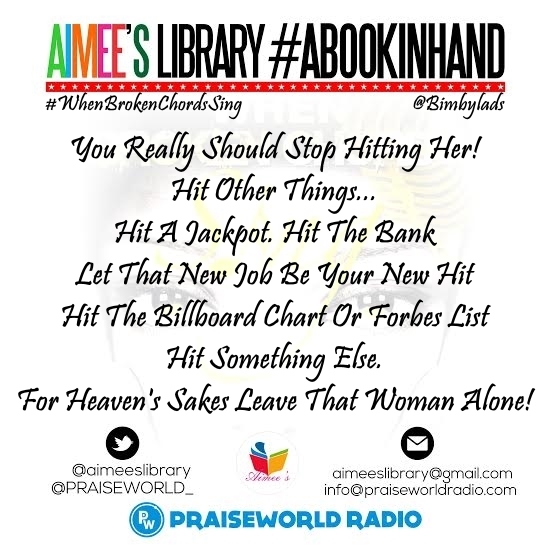 Abimbola Dare started writing christian fiction after a deep conviction to use her writing talent to glorify God. She attended Vivian Fowler Memorial college for girls in Nigeria – and University of Wolverhampton & Glasgow for her first degree & Masters degree. She is happily married to her heartthrob whom she calls “chinese eyes” and lives in the UK with her wonderful family. When she isnt writing, Abimbola is a full time project manager in IT. Her first book, ‘The Small Print’ peaked at top 11 on Amazon UK Best Seller List for Romantic Christian Fiction Category in Sep-Oct 2012. She has also bagged an Award for excellence in writing the manuscript, ‘the small print’ by Deep River Books US. ‘When Broken Chords Sing’ was recently nominated in the ‘Faith-Based Writer Of The Year’ Category in the 2015 Nigerian Writers’ Award.